Pre-exposure prophylaxis, or PrEP, is a method to prevent HIV infection among those who are HIV-negative. PrEP involves the use of antiretroviral medications by those who are HIV-negative to reduce the risk of HIV infection via sexual transmission. A number of PrEP trials and demonstration projects has been implemented across the U.S. and around the world, including Los Angeles. 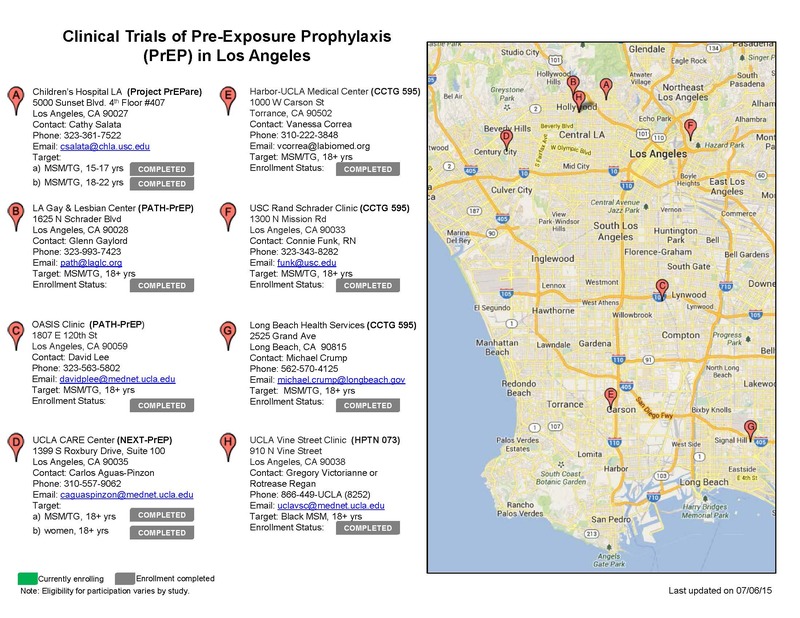 To download the list of clinical trials of PrEP conducted in Los Angeles, please click here: [Download not found]. Please note that all studies on the list have completed enrollment. 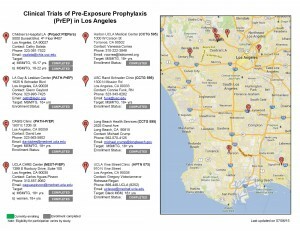 For more information about how to access PrEP and PEP in Los Angeles County, please click here: http://getprepla.com/.